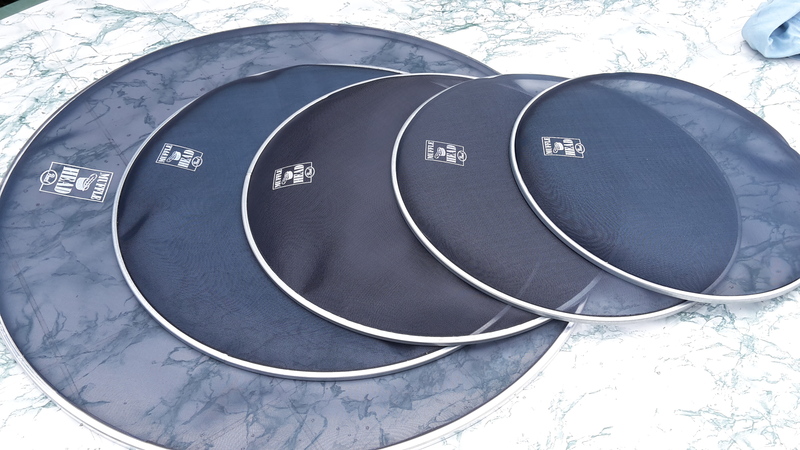 peaux fiberskyn 3, Drum Head from Remo. If you're looking for a modern version of that classic calf skin sound there is (in my opinion) no better sound to cost benefit out there on the market today. These heads give a very warm and dark sound, reminiscent of old jazz recordings. They lack a bit of a focused attack, but feel extremely nice under the stick and give a nice response. 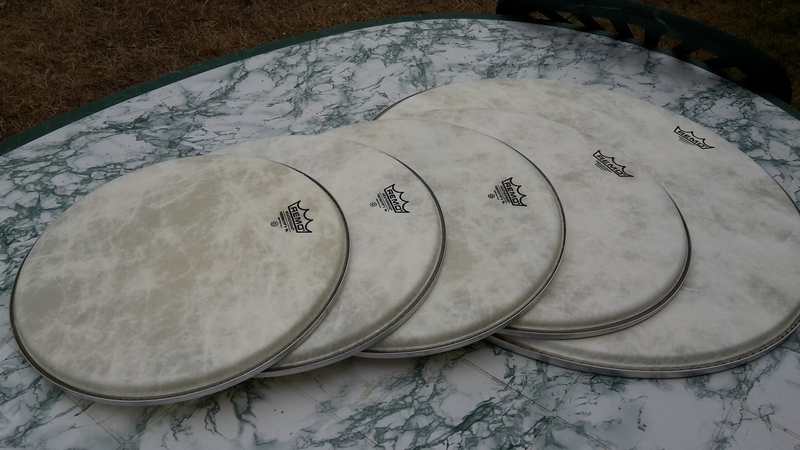 When played with brushes these heads give a particularly nice response, one that I think is superior to coated drum heads, as it is warmer and more mellow. These heads work well as resonant as well as batter heads- I have a fiberskyn on my 16 inch jazz bass drum as a resonant head and it really gives it a lot of body and depth. The warmth of these heads is really unbeatable and can really give a nice aura to a jazz piano trio gig. As a batter head the fiberskyns lack a bit of a sharp attack but make up for it with a nice fat spread an quick decay. 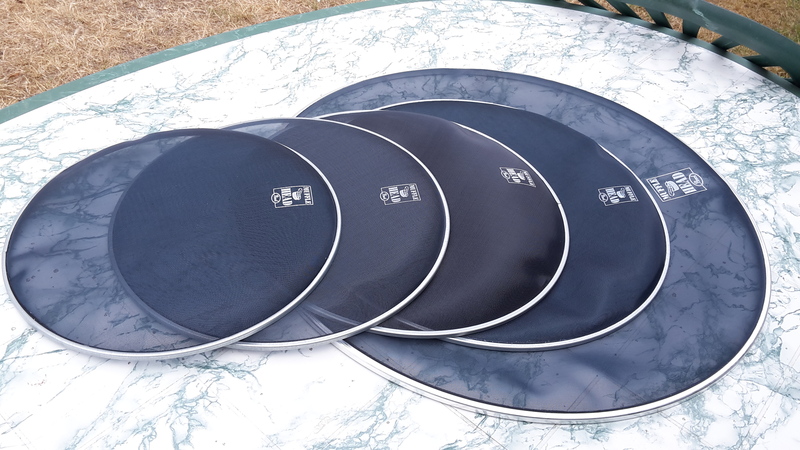 I play them on my 14 inch snare and 10 and 14 inch toms and they give a great sound that can't be beat when going for an authentic acoustic jazz sound. These heads also work well in orchestral work and I have seen some guys play them on R&B and Motown gigs and they fit quite nicely. I've never seen them in a loud rock and roll or metal situation, but I highly doubt these heads would give the desired sound (but if you can make it sound good then thats all that matters!). 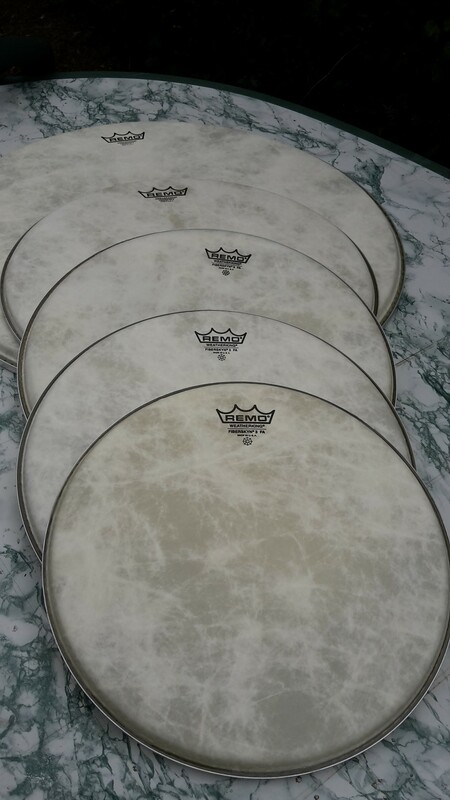 If you like these heads, try the Evans J1 etched heads- they're similar but don't last as long (and they're more expensive! ), although they do get a better sound.